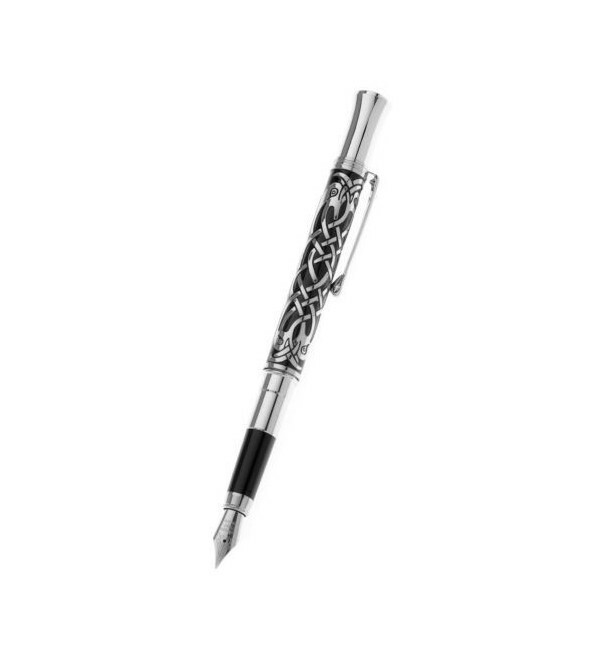 Sea Gems of Cornwall medium weight fountain pen with chrome finish and etched Celtic Bird design on barrel. 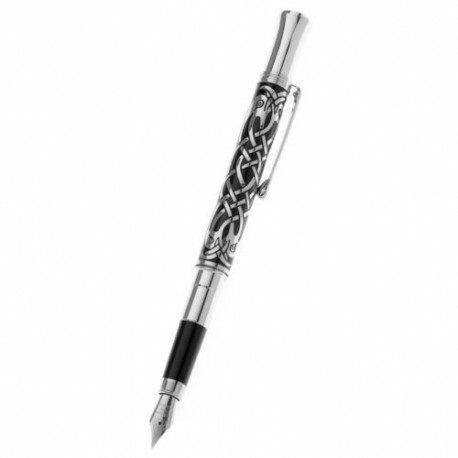 Sea Gems of Cornwall medium weight fountain pen with chrome finish and etched Celtic Bird design on barrel. Includes one ink cartridge. Gift boxed.